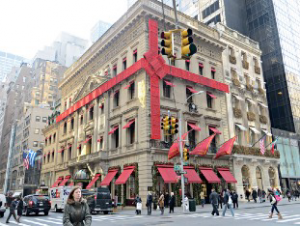 Fifth Avenue | Custom & Private New York Tours, Inc. Nothing in the world compares with the grandeur, elegance and bustle of our premier boulevard. From the “gold coast” to Museum Mile , Central Park, The Plaza, The Peninsula, The Met, Bergdorf’s, Tiffany’s , Trump Tower, Cartier’s, Harry Winston, The Apple Store, St. Patrick’s, Saks and Rockefeller Center. It’s a candy store for your eyes and wallet. We’ll stop by St. Patrick’s Cathedral and take a stroll down the Rockefeller Center Promenade.